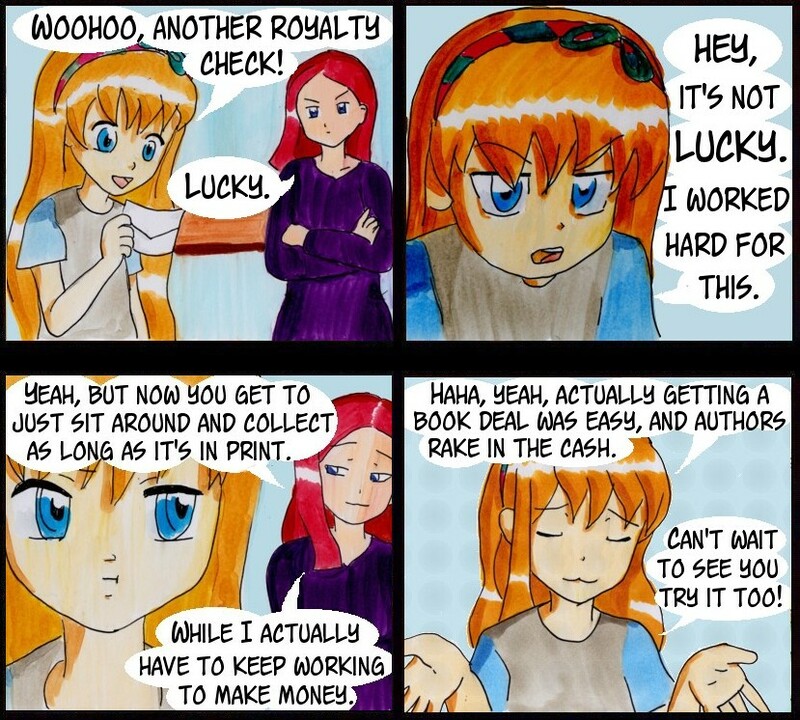 After all the frustration and sweat of drafting, the slog of editing, the toiling in the query trenches, and the flailing in the sea of submission, getting a book deal is not “easy” even if everything goes relatively smoothly. And even when we have fun with some aspects of our craft, WRITING IS WORK. So please, please, if you know a writer who is fortunate enough to get paid for what they probably spent years of their life on, do not imply that their paycheck is undeserved. Especially since many of us don’t ever get paid decently for what we’ve put in, and almost all of us have a stack of books that led up to this point–books that were our labor of love; books that we were never paid for. That’s not “unfair” either, but to say we’re “lucky” to be paid when our work sells is a massive misunderstanding of what we undertake for a chance to get it out there, and it certainly isn’t a shame for us to be treated like we’ve made something worth paying for.